At Right at Home Swansea we are passionate about assisting our Clients to develop a care package that meets their individual needs. We promote quality, reliability and trust and strive to exceed your expectations. We encourage partnership working where our Clients will always be at the centre of planning and decision making and we always welcome input and feedback. We believe our CareGivers are our most important asset in achieving our objectives and we endeavour to train, develop, support and value them to enable them to provide you with the high-quality services we are passionate about. 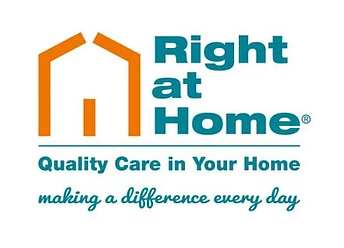 We see our role at Right at Home Swansea as providing a high-quality service that enriches the lives of both those in receipt of services and those delivering services. We continuously strive to improve and we do this by valuing and listening to everyone’s input and consistently monitoring and reviewing our service. We are all part of one team, we are all part of the Right team!